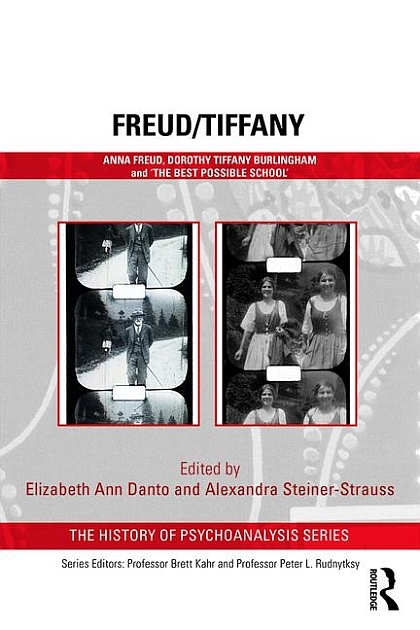 With over 100 archival photographs and nine original, wide-ranging essays, Freud/Tiffany brings to lifethe fascinating intersection of psychoanalysis and education. Out of the cultural and political ferment of inter-war Vienna emerged the Hietzing School, founded in the 1920s by Anna Freud, the youngest daughter of Sigmund Freud, and Dorothy Tiffany Burlingham, the youngest daughter of the great American artist Louis Comfort Tiffany. Anna Freud’s story unfolds over three decades from her adolescence through the 1940s, as she and Dorothy Tiffany Burlingham leverage their hands-on research with children into educational innovations at the Hietzing School and beyond. The Viennese psychoanalysts of the 1920s demonstrated a unique sensitivity to marginalised populations and to the impact of war, its threats and its aftermath, especially on the lives of children. The book features never-before-seen historical photographs, including four of Sigmund Freud, as well as unpublished archival material and original paintings. Drawings, manuscripts and memoirs make vivid the founders’ vision of the Hietzing School’s origins, its day-to-day experience and its enduring significance for our understanding of education and the developing mind. Marking the first publication of many of the historic materials originally showcased in 2017 at a major Freud Museum London exhibition, the international scholarship behind Freud/Tiffany demonstrates that the Hietzing School remains the seedbed for a surprising range of modern theory and practice in child and adolescent mental health, from Erik Erikson’s lifespan model of 'identity' to the legal concept of 'the best interests of the child'. The Freud and Tiffany legacies are now brought together as never before in this lively book, and the Hietzing School is restored to its rightful place in the history of so many ideas with which we are still working today. The book is essential for any reader interested in the cultural legacy of interwar Vienna. A School for Trick Cyclists? Elizabeth Ann Danto is emeritus professor at Hunter College – City University of New York, and an independent curator who writes and lectures internationally on the history of psychoanalysis as a system of thought and a marker of urban culture. She is the author of Historical Research (Oxford University Press, 2008) and her book Freud’s Free Clinics – Psychoanalysis and Social Justice, 1918–1938 (Columbia University Press, 2005) received the Gradiva Book Award and the Goethe Prize.